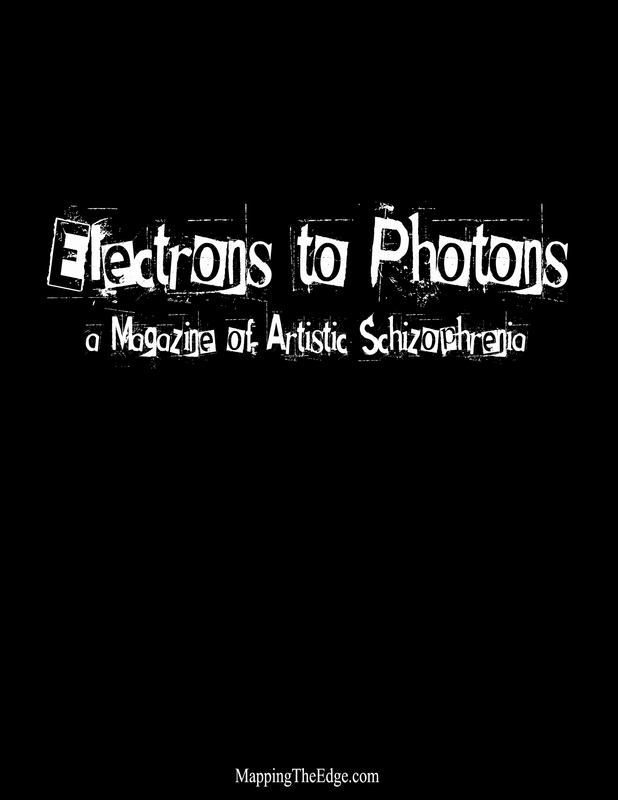 Electrons to Photons: A Magazine of Artistic Schizophrenia, is a new monthly electronic magazine for all MappingTheEdgers! Your wait is almost over. The tireless efforts of the hard-working staff here at MappingTheEdge.com have resulted in a new monthly electronic magazine. The first issue comes to life January 1, 2018. Just in time for the holidays. The magazine’s title is a play on the fact that our creator, founder and emperor of MappingTheEdge.com is both an award-winning visual artist and an average engineer. Or maybe it’s about that mythical subatomic merge point where raw electrical energy causes excited electrons to party like it’s 1999 until they spawn particles of light? Or is it about the process of artistic alchemy in all its mysterious forms? Download Electrons to Photons at MappingTheEdge.com. Let it complete your life. First issue available for download January 1, 2018!